OF A PARTY IN LAGOS AND JESUS | Thoughts of a Calabarboy. 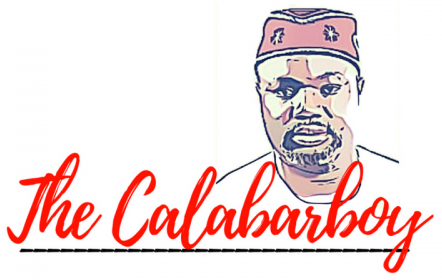 OF A PARTY IN LAGOS AND JESUS – Thoughts of a Calabarboy. I have been in Lagos for over ten days now and cannot but admire the resilience of the people. Admittedly, a lot of Nigerians are very aware and Lagos is filled with highly educated people who are hopeful of a change given the amount of hard work already imputed into the rusty system. Here, people work very hard in productive labour, despite the fact that there is a lot of disorder that inherently promotes corrupt practices even within glossy financial institutions. Looking at all the bus drivers, the okada riders, the budding bankers, the street traders, and the mid to senior executives on the streets, you get a sense of an economy on the move. Although it is still very questionable or debatable what exactly our economy produces, if intensity of work spells productivity, then by all means our streets will be soon paved with gold. Flowing from this, every time I see Lagosians party heavily, I always make an excuse for them in my heart that a lot of the people at these parties work very hard, thereby find consoling such social escapes. Even though such gatherings are spiced with overkill of apparel, music, wine and food, you get a sense of satisfaction in the air of celebration as a reward for diligence to duty. I attended one of such society events a few days ago as an accomplice to grandiose living. I must add that it was due to filial respect and promissory servanthood that I acceded to the demands of socializing. On location at Ahmadu Bello way, we were cramped into a hall that didn’t respect the laws of space economics. 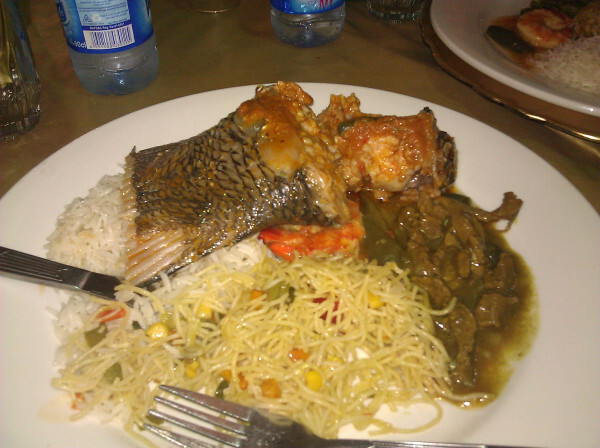 The food was good I must admit and was well-organized in terms of distribution. Wine flowed like water and the dancing was without mercy, especially being to the beat of the legendary King Sunny Ade, who is known to jazz his audience with mid-tempo rhythms that spell-binds the hearer into a legal tender spraying frenzy. Interestingly, to add colour to the proceedings, a full representation of the clergy was present in their full regalia and conspicuous emblems of religion. Of course they were escorted to the choicest of seats, closer to the noise ready sound emitters and I asked myself the question if this was a proof of God’s endorsement. But in the midst of the boisterous cacophony of human activity, feeling out-of-place being the only visible male wearing a blazer on jeans, I was lost in thought. Although very uncomfortable due to space limitation, and having the backsides of pumps wielding women brush me persistently, I was still lost in thought. As I sat there feeding my eyes through 180 degrees scans, a bible verse flashed through and intensified the musings of my heart – this is my main concern in writing this down. I remembered clearly in Luke 14:12-14 when Jesus said this: “When you put on a luncheon or a banquet,” he said, “don’t invite your friends, brothers, relatives, and rich neighbours. For they will invite you back, and that will be your only reward. Instead, invite the poor, the crippled, the lame, and the blind. Then at the resurrection of the righteous, God will reward you for inviting those who could not repay you.” I played these words over and over in my heart and realized how powerful they were as a guide to those who have committed their lives to being disciples of Jesus. It is a tough call in the kind of materialistic society we live in today. How would the party turnout if this scripture played out on location? At what point do we make up our minds to live by the guidance of His words in our daily life? It has become so easy to read these sayings and mince over words and be convicted of a higher life at the given moment, but rise from the quiet place within no change in attitude or resolution to impregnate our daily actions with the life of His words. I knew even I would falter at that demand because I will not go looking for strangers to transport to my banquet, let alone talk about the poor around the corner. I probably would be concerned about security before I give thieves a tour of my capacities. But this display of the splendour of wealth is the result of a given opportunity (although I also recognize that it could be stolen), and this calls for a greater stewardship of what we have received. Even though we aren’t ignorant of the desire of the Giver, we still relish the thought of allocating these gifts after the desire of the receiver. Aren’t we then children of disobedience and null reflectors of the messages we preach? Frankly, all these went through my mind within a few minutes, and everything around suddenly felt repulsive to me. I felt a sense of urgency to evacuate my body, soul, and spirit from the event. With all the bling and zing fest, style renditions, and even the combustion of the apothecary’s ointments, I knew in my heart that this was a lower life, the opposite of which I am called to live. Yes this kind of celebration may have its place, but oh! how it has so taken over the desire of God’s heart for his children that receive their daily bread from Him. He only asks that we feast the poor in this way as we feast our friends and yet we always fail Him. Sometimes we do the half-measured thing in organizing a feed-the-poor event without the air of celebration, but rather of a solemn assembly as though the poor were not capable of moving their feeble feet to the beat of a song. I guess it is time for me to decide if I want to accept my Master’s instructions, then it must be the totality of it. I reckon that there is much power which abounds to us just for the simplicity of taking His words to heart and living thereby. But this remains unknown as we seek our own vain ventures. In the meantime I suddenly realized that this was a wedding engagement for a beautiful damsel. Therefore the meditations of my heart may not apply. Or does it? ← Live in Lagos – Can I help? “Sometimes we do the half-measured thing in organizing a feed-the-poor event without the air of celebration, but rather of a solemn assembly as though the poor were not capable of moving their feeble feet to the beat of a song…”…. I felt the same way on Prince williams wedding day. I thought of libya, egypt, congo, ivory coast, mexico, alabama and other troubled regions and wondered what the people thought of the festivity. Samuel Eto’o, the Inter Milan super striker is paid some 60 million per year mostly motivated by corporate advertisements. Advertisements during the Super Bowl run at the rate of millions per 30 seconds. In light of these, there may be another way to view parties in Lagos. Those parties are simply another form of business advertisement. After all, Ross Perot’ spent 76 million dollars of his own money running for a presidency he knew he could not win (to quote him, “It was fun while it lasted”)! It was simply self advertisement. There is pleasure in being mad which only the mad man knows.